It is so easy to get a little crazy in a fabric store. You might not know how much fabric a certain pattern requires, so you guess and buy what you hope is a little extra. Or you might get distracted by a fabric that you don't really have to have, but want to add it to your stash anyways. Next thing you know, your stash is questionably hoarder status and you've blown money that you shouldn't have spent. I know, I've been there. One thing I have learned, and this is nothing groundbreaking, is to spend ten or fifteen minutes before leaving the house and put together a list. I have found that when I have a list I am better prepared for shopping. That's what lists are for, right? The amount needed for 45 inch and 60 inch bolts. Seeing this in front of me keeps me in check, helps me avoid spending $$$$$, and prevents me from straying from what I came in to buy. Willpower is also required. Plus, I like to add notes, so it's easy to quickly scribble what I ended up getting and how it should be washed. Nothing in this post is particularly mind blowing, but I thought I would share anyway :) Do you shop with a list, photos from a phone, or another method? Or no method at all? I also find that if I don't take swatches to match fabrics, then I buy too many fabrics that are close! I go with a plan in mind, but more often than not, my plan is blown within the first 10 minutes! That's a good tip, Nicole! I hadn't thought of that! I tried a while back to record the requirements on Evernote, so I always had them on my phone, but it's kind of fallen by the wayside a bit. In theory it works though - presuming you can get a 3G signal in the shop, that is! Like Amanda, I sometimes take a picture of the pattern envelope (or even bring the pattern with me!) when going fabric shopping. 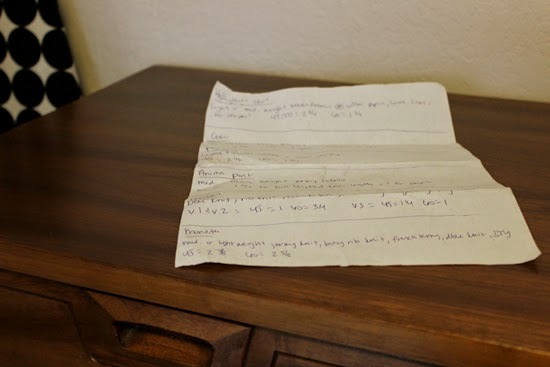 If I make a list, I write down EVERYTHING I need for the project, from paper to thread to zips and interfacing. I hate when I start a project only to realise I forgot something important... Unfortunately, it happens sometimes when I get fabric crazy! The last few times I wrote out a list I left it at home haha! Sooooooo stupid. But yeah, I definitely love making lists! Staying on track is always a good thing. I used to overbuy on fabric quantities and forget notions so now I write a list. My local fabric shop has an online shop, they also give loyalty points if you spend over a certain amount. So before I head out, I go online and use the online shop to write a list complete with prices which I then take to the shop. If I'm pennies away from qualifying for loyalty points, I chuck in an extra pack of needles or something like that. It also means I'm less likely to stop by the shop on the way home and pick up the odd notion here and there, as I'd rather save up my shopping into one decent-sized trip. I have a list on evernote with fabrics, yardages and colors and I try not to stray from it! I pin all patterns I have to pinterest. I use the vintage pattern wiki for stuff thats not current. That way I can look all that information up if I see a fabric I like, very quickly on my phone. I forgot about that vintage pattern wiki, thanks for reminding me! That's good, I'm the opposite. Without a list I just get too wild with my shopping! A sewing kit app??!?! How cool!!!! Not that you asked (haha), but I would highly recommend checking out Michael Levine if you go. I'm afraid that I am not too familiar with Downtown, but whenever I go I end up with something I like from Michael Levine and the Michael Levine loft! What is evernote? Sorry, I'm out of the loop! That is really good! I wish that I could get all my fabric and notions all in one spot. I feel like I go to one store for this and one store for that, but if one store had it all AND had loyalty points I would be in heaven! Oooh that's a good idea. I need to have a notions list in my purse. I always seem to forget what notions I need. hhaha that sounds like something I would do! It's so annoying when you forget one little thing that affects the whole project. I do it all the time and it drives me crazy! You are the second person who has mentioned Evernote. Guess I need to look into it! I always try to write a list but I almost always end up forgetting. So then I'm standing in the middle of Joann's on my phone frantically trying to pattern search in hopes that the fabric requirements is easily visible on my phone. I took the time a while back to upload pictures of ALL of my patterns to Evernote. That way I have a handy reference so I stop buying duplicates (or very very similar patterns) at those 99 cent JoAnn sales, and can also see what pattern might be best for the fabric I'm eyeing. Then I can easily look up how much that particular pattern needs...the joys of smart phones! Because I just posted about it, too, I'll answer (not that you asked me!) - it's a handy little app that lets you make lists, store pictures, take web clippings, and is really easily searchable. Honestly, I only know about 10% of what it can do, but I started using it because of a couple of posts I saw (http://www.shawntasews.com/2014/01/06/evernote-my-sewing-thoughts-organization/ and http://finishedgarment.ca/organizing-all-those-sewing-patterns/). 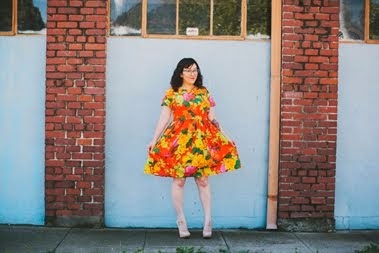 I took pics of all of my patterns, put each one in a note, and tagged all of the notes with labels like "skirt," "fall," "1960s," "vintage," etc. That way, if I see a fabric that would be great for a vintage skirt, I can just type that in and pull up the patterns I have that would match. The app is free and you can access it from your phone, tablet, or PC/Mac (meaning you don't have to do all of that uploading on a tiny little phone). I'd definitely recommend checking it out if you have the time! Can you believe I visited the fabric district of Tokyo while I was there on holiday and only came back with four pieces of fabric for myself??!? I do this too! I love Evernote.